The #GREENGANG is a movement to help fight climate change by inspiring one another to make simple lifestyle changes. By taking small, simple climate conscious steps, together we can make a huge difference. Being one massive #greengang means that we’re all there to support each other and share new eco ideas, such as having having one green day a week or switching to a reusable energy supplier. Share the #GREENGANG on social media whenever you’ve done something to make a difference, however big or small, and encourage your fellow Green Gangsters to take further steps to help combat climate change. 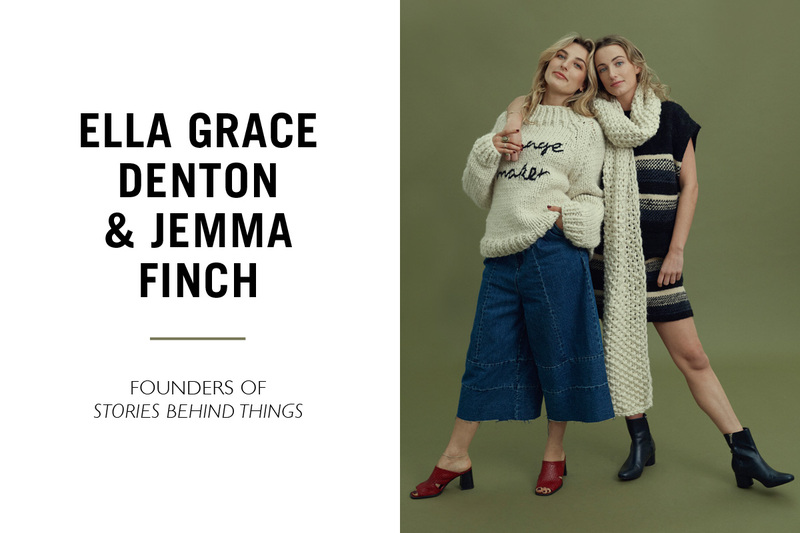 To kick start the #GreenGang, we wanted to give the floor to women who are using their voice, platform and/or brand to put the planet first – the real Change Makers within their industries, as well as the rising stars. 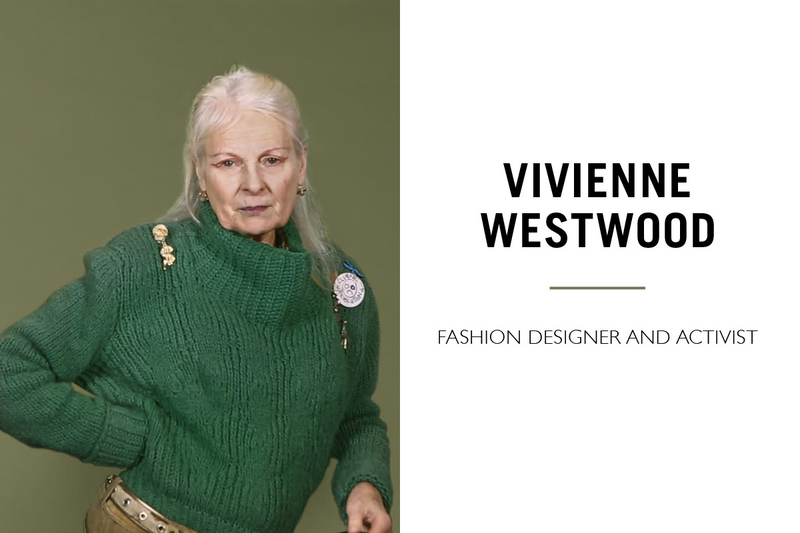 First up we have our eco warrior queen, a woman that needs little introduction really… The fashion designer and activist Vivienne Westwood who we were lucky enough to work with a few years ago on a collaboration. Bethany is wearing the Big Time Jumper Made from Lil’ Heal The Wool. 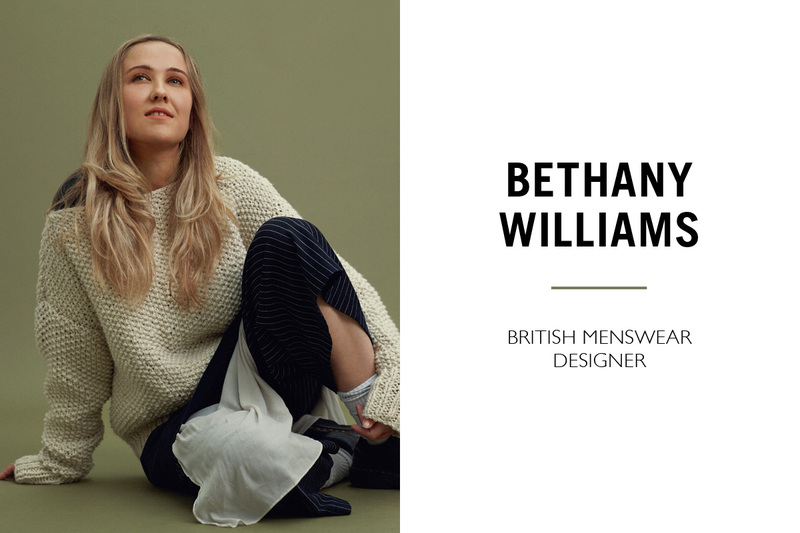 Bethany is a young British menswear designer who we’ve been following for a while now, not only are her clothes objects we want to wear again and again, but her belief that social and environmental issues go hand in hand and that, through exploring the connection between these issues, we will find innovation and design solutions to prevent it from occurring. Take a look at her Instagram! Who is your Change Maker inspiration? Everybody who is making a change in life to make a difference. The use of the disposable shopping bags has decreased by 85% and that is due to everybody in our society that is making this change. Any books, blogs or websites that we should investigate? The book Jacques Ranciere, The Politics of Aesthetics – without a doubt! This book truly change my life and informed my belief how people can make a difference and the change needed to help our world. Ella is wearing the freedom jumper made from heal the wool and Jemma is wearing the don’t stop scarf made from heal the wool. Fashion guru Ella, and blogger and musician Jemma, head up Stories Behind Things, a fast-growing community of over 13,000 eco warriors. The girls host a plethora of community events; from Clothes Switching to up-cycling workshops, both online and offline. They are paving the way for young people championing innovative and sustainable ways of consuming. What are your favourite fashion brands flying the green flag and why? Our top two have got to be Ace&Jig and Reformation. Ace&Jig because their founders are two amazing co-warrior women, their pieces are so unique and their ethics are amazing and Reformation because they’ve so successfully filled such a big gap in the market. Trendy sustainable fashion for 18-25 year olds looking to do and feel good. Who is your Change Maker inspiration? Gosh there are so many women who inspire us, but one that always sticks with us is Angela Davis. She’s a hyper intellectual, American political activist, author, and just a seriously badass, powerful woman who isn’t afraid to take up space and speak her truth. Orsola is wearing the wooly young thing cardigan made from heal the wool. 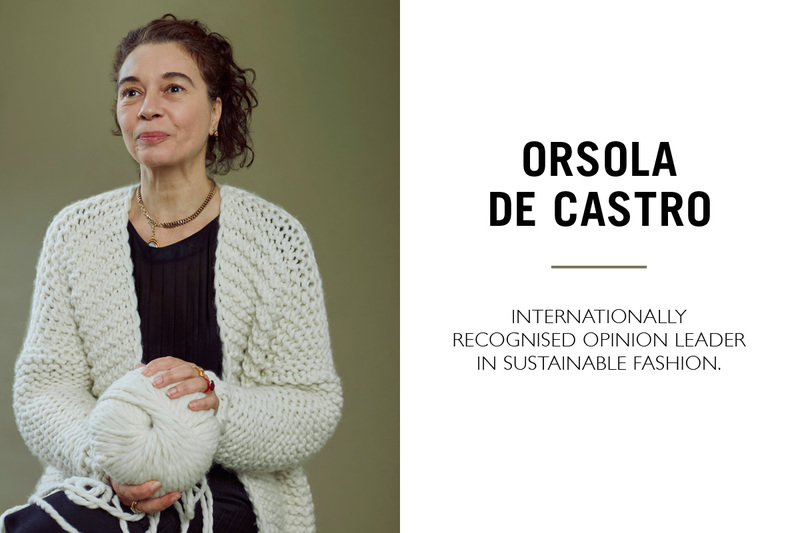 Orsola is an internationally recognised opinion leader in sustainable fashion. Her career started as a designer with the pioneering upcycling label From Somewhere, which she launched in 1997 until 2014. Her designer collaborations include collections for Jigsaw, Tesco, Speedo and 4 best selling capsule collections for Topshop from 2012 to 2014. In 2013, with Carry Somers, she founded Fashion Revolution, a global campaign with participation in over 95 countries around the world. tamsin is wearing the seen it all scarf made from lil’ heal the wool. 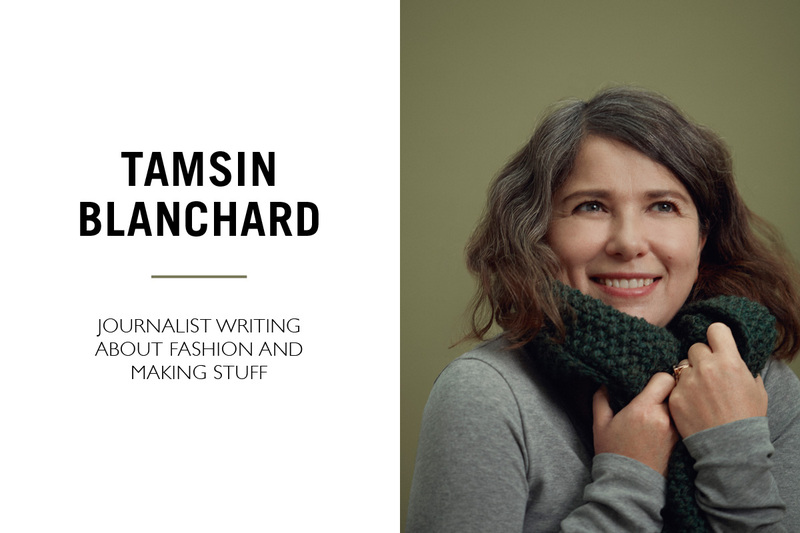 Tamsin is a journalist writing about Fashion and making stuff, a Fashion revolutionary curating the fashion revolution Open Studios initiative for April 2018, and the first year tutor for BA fashion journalism at CSM. What are your favourite fashion brands flying the green flag and why? 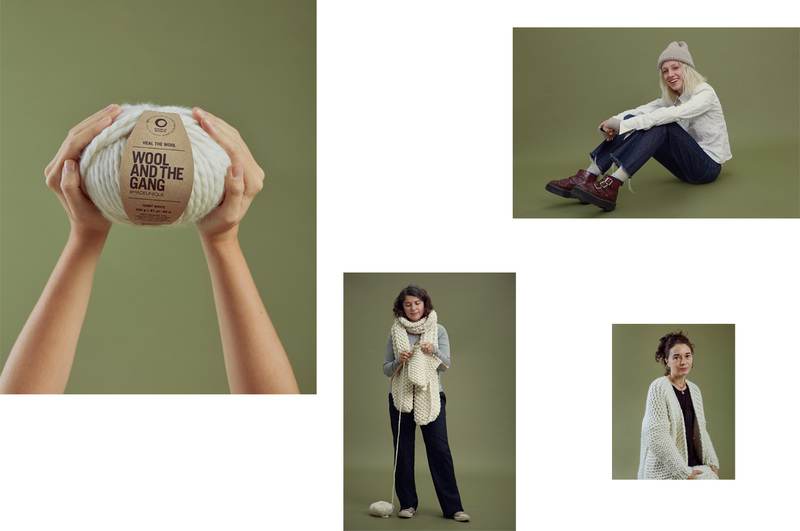 Veja’s focus on one product which makes it easier to manage their supply chain is a brilliant approach. They don’t compromise design for their values but have designed a trainer to test a new system of production. I also love what Bottletop are doing with their new zero waste flagship on regent street. True pioneers. Who is your Change Maker inspiration? 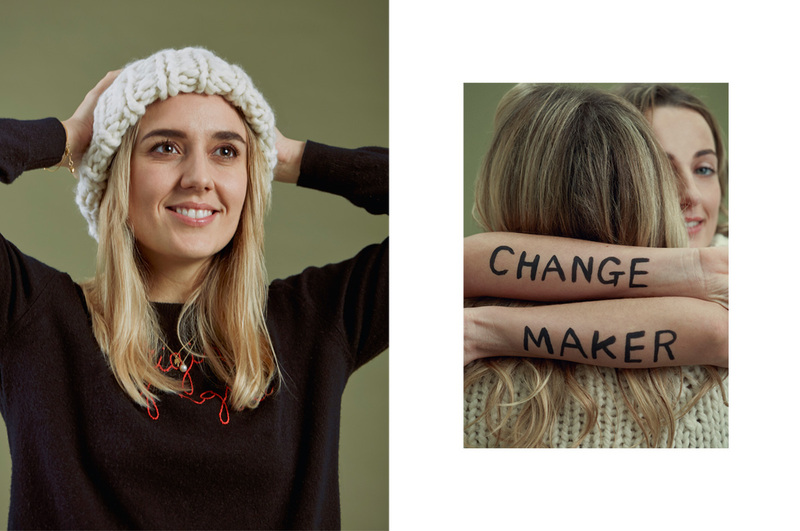 Orsola de Castro and Carry Somers for the vision and passion they have brought to the Fashion Revolution campaign. My children are also a pretty big inspiration/incentive too, I worry how we’re leaving this planet for them and their children’s children. elizabeth is wearing the isobel hat made from lil’ heal the wool. 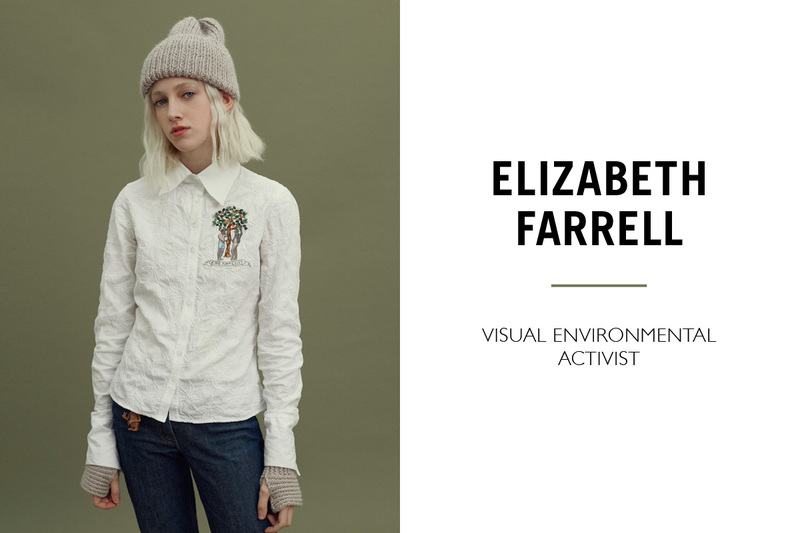 Better known as Glacier Girl, Elizabeth is a visual environmental activist raising awareness about climate change by adapting the aesthetic of eco friendly to appeal to the Insta-Generation and uncountable generations to come. She was recently selected as one of Dazed and Confused 100 to watch. Who is your Change Maker inspiration? Definitely Naomi Klein, the social activist, 100% all the way. She doesn’t just look at ecological and environmental problems but also social problems and how by working toward climate justice we’re also working towards social justice. jade is wearing the beat it beanie made from heal the wool. 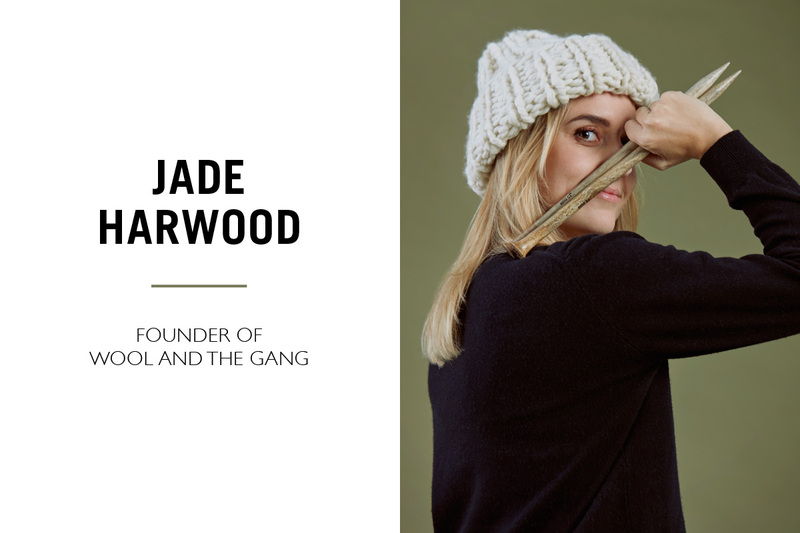 Co-founder of Wool and the Gang, Jade is passionate about sustainable design and connecting communities to create change for future generations to bring back values, skills, and community. selina is wearing the little maggie bandana made from lil’ heal the wool and Ruth is wearing the seen it all scarf made from lil’ heal the wool. 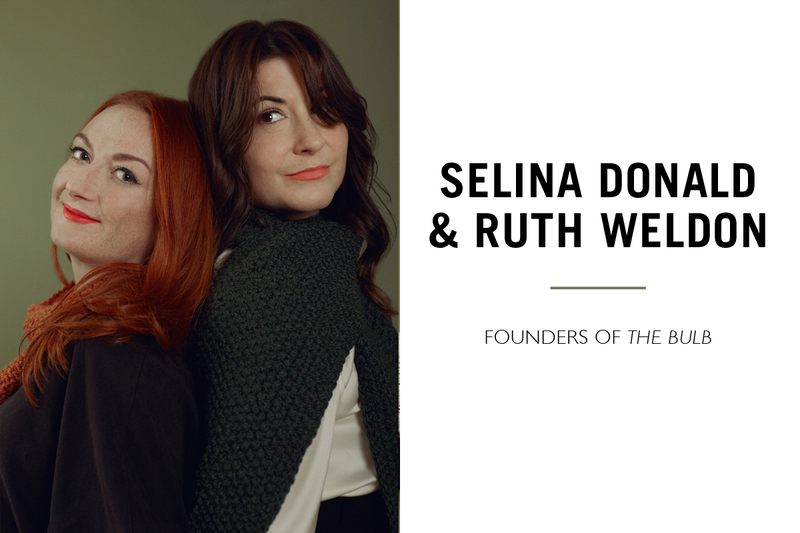 Selina and Ruth are founders of The Bulb, the UK’s only B Corp events agency. The Bulb aim to change the way that events are run to make them more sustainable and low impact on the environment, helping in the fight against climate change. Top big tip to fight Climate Change? If people really want to reduce the human impact on the environment, the simplest and cheapest thing anyone can do is to eat no or less meat The livestock sector is one of the top two or three most significant contributors to climate change. It’s estimated that livestock production is responsible for 14.5 per cent of global greenhouse gas emissions which is huge. Check out Meat Free Monday campaign and start one day a week at a time. shahnaz is wearing the cocoon cardigan made from lil’ heal the wool. 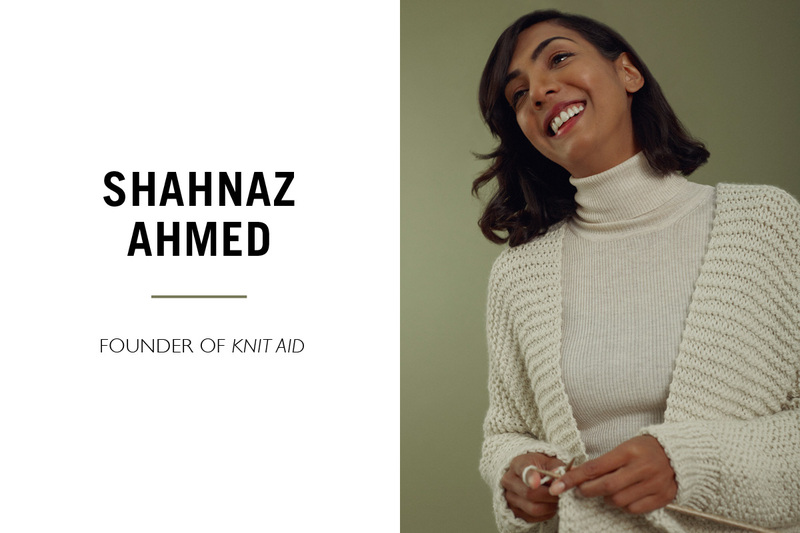 Shahnaz is the founder of Knit Aid, a charity that helps knitters help others. Knit Aid was set up in the summer of 2015, when Shahnaz decided to send some of the quality yarn she’d been hoarding to knit up hats and blankets to refugees living in the Calais ‘Jungle’. liz is wearing the can’t escape snood made from lil’ heal the wool. 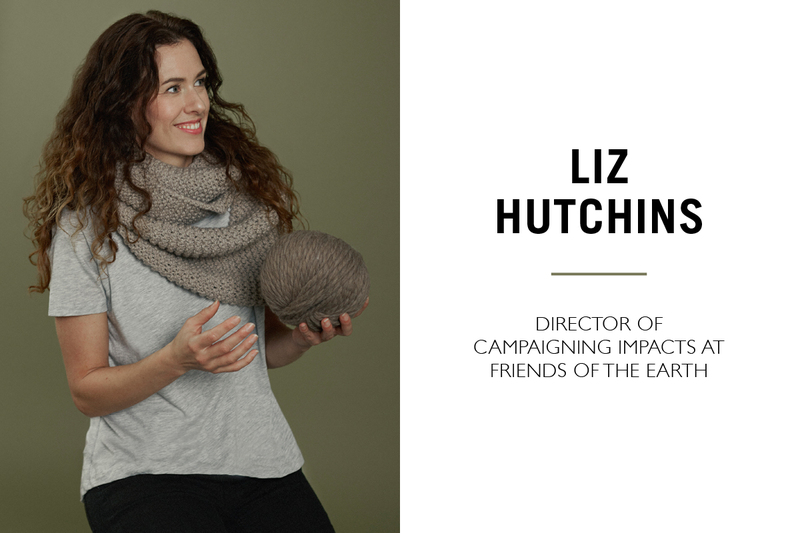 Liz is the Director of Campaigning Impacts at Friends of the Earth and a passionate campaigner for climate issues, her work at the charity raises awareness of key issues that are a real threat to our planet. lucy is wearing the seen it all scarf made from lil’ heal the wool. 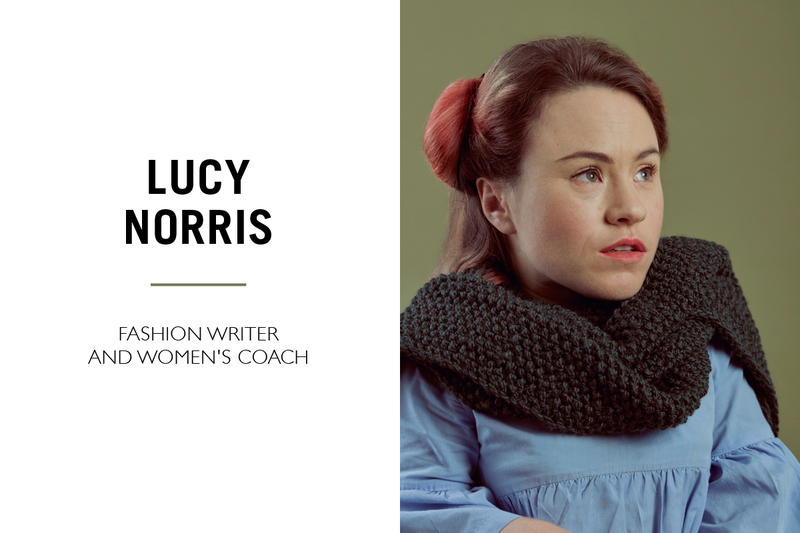 Lucy is a fashion writer and Women’s Coach who believes that self-expression and creativity can go hand-in-hand with protecting our beautiful planet. As a fashion commentator and academic lecturer, she uses her position to lobby designers and fashion students to engage with sustainable working practices. Who is your Change Maker inspiration? Stella McCartney. I was very inspired when I interviewed her earlier this year. She has stuck to her guns – in not using leather or fur – when so many people have told her that what she is trying to do within luxury fashion is impossible. She designs from the viewpoint of being a mother and a lover. She doesn’t believe you can come to work and design clothes that use toxic dyes or materials that will damage the planet – and then go home and be another person. She believes that through her work she has the opportunity to love our planet in the same way that she loves her family. Any books, blogs or websites that we should investigate? For books – You are the Universe by Deepak Chopra, Women Who Run With Wolves by Clarissa Pinkola Estés, A New Earth by Eckhart Tolle and Material Girl Mystical World by Ruby Warrington. The Numinous blog is a great one to keep checking.